Perfect lemon blueberry scones – so easy you can make them in one bowl and just drop them on a baking sheet! A simple gluten-free scone recipe with almond flour and honey that's paleo and dairy-free. Try them with tea for a royal treat! I love these easy lemon blueberry scones. Made with almond flour, blueberries, lemon, and honey, they are everything that is good about scones. And they are paleo, gluten-free, dairy-free and refined sugar-free. These scones are amazing with honey butter (I make it with ghee ) right out of the oven. Of course, you can use coconut butter for a dairy-free topping. I used Meyer lemon for these scones today, but regular lemon works just as well. I also used fresh organic blueberries. It's important to use fresh blueberries — frozen blueberries add too much moisture to these scones. And I like a lot of blueberries, they add to the natural sweetness of the almond and honey. Gently fold the blueberries into the batter at the last minute. 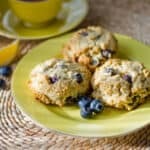 The key to this blueberry scone recipe is to keep stirring the flour mixture with the wet ingredients until it forms a dough. At first, it will seem like there is not enough moisture, but if you keep going it will come together into a nice dough. The consistency is similar to biscuit or cookie dough. It's also important to use superfine blanched almond flour for these grain-free blueberry scones. Do not substitute coconut flour or other gluten-free flour blends as they will not work in this recipe. After breakfast, I put the rest of the batch into the freezer for another day. These lemon blueberry scones freeze beautifully. To thaw, just put them in a cold oven and turn it on to 300 degrees. (I put a piece of parchment paper right on the oven rack and set the scones on it.) They are warmed through in about 15 minutes. 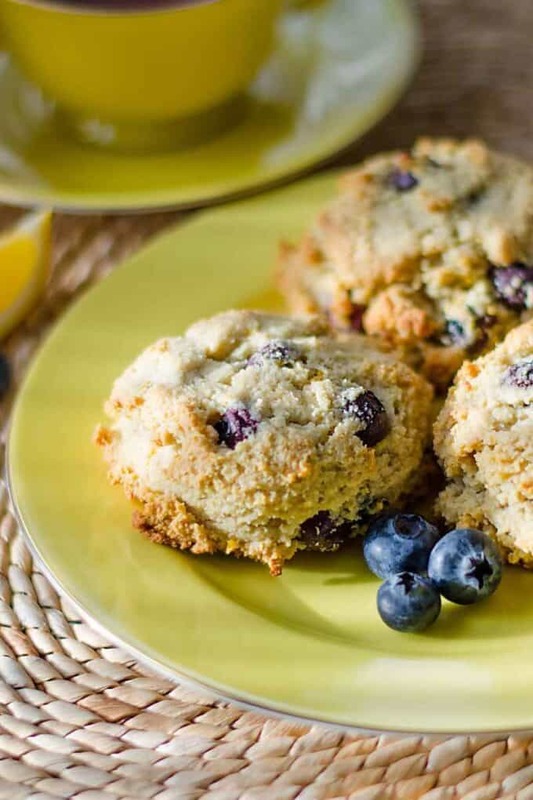 Warm paleo lemon blueberry scones will brighten your day. This post includes some affiliate links for your convenience (which means if you choose to make a purchase I may be compensated at no additional cost to you). These lemon blueberry scones are perfect with tea or coffee. Add the almond flour, baking soda, salt, and lemon zest to a large bowl and stir to combine. Make a well in the center of the flour mixture and add the wet ingredients. Starting in the center, stir the dough until well combined. Fold in blueberries. Using a large cookie or ice cream scoop, drop the scones onto a baking sheet lined with parchment paper. Lightly wet hands and gently flatten the tops of the scones. They should be about 1 inch thick. Bake 18-20 minutes, until the tops are golden brown. Cool on wire rack. What's your favorite scone flavor? Let me know in the comments below! i just bought almond flour and have been looking for a great recipe for it! this is it! Great – I hope you enjoy it! Where can I get the Almond flour? I use this super fine blanched almond flour from Amazon. I have heard that Almond Flour is horrible because the amount of almonds/calories needed to make the flour. What do you think? Almond flour is simply finely ground almonds, so it’s no better or worse than whole almonds from a calorie perspective. The key is being aware of how much you’re eating. 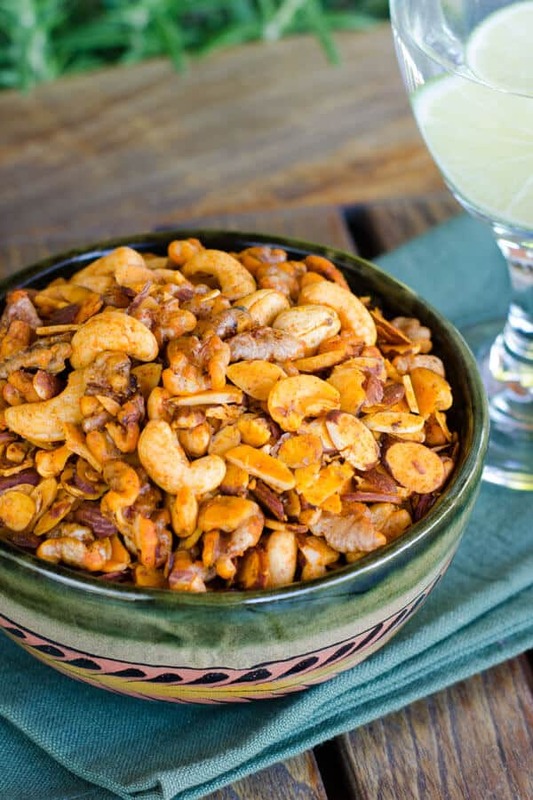 A standard serving of almonds is 1 ounce or 28.3 grams. If you make 10 scones from this recipe, each scone has 31.5 grams of almond flour, or just over one serving of almonds. I generally eat one, and put the remaining scones in the freezer. Almond flour baked goods, like any baked goods, are treats to be eaten in moderation. Saw this on Tastespotting and they look delicious! I substituted oat and kamut flour and the batter was too dry. Any suggestions? This recipe is designed for almond flour, so grain flours like oat and kamut won’t work. For those flours you’d probably be better off starting with a traditional scone recipe and adding the lemon and blueberries. I wonder how they would taste with coconut flour? Coconut flour and almond flour act differently in recipes. You would need to change this recipe quite a bit for it to work with coconut flour (less flour, more eggs and fat). This book on cooking with coconut flour is a good reference. I made this last night and loved them. 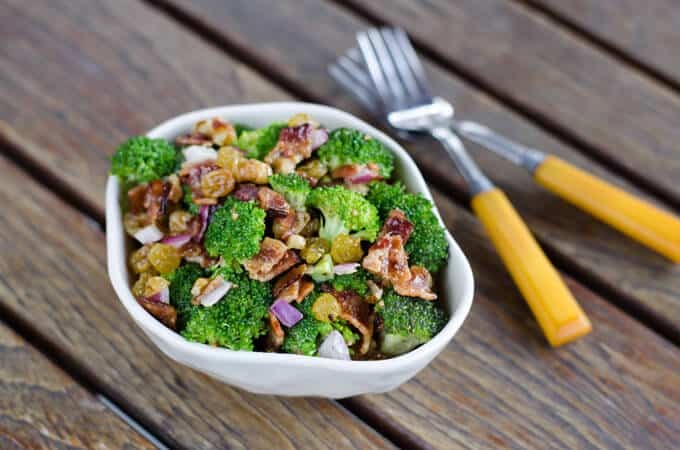 Thanks for a simple recipe that tastes great! You’re welcome – I’m so glad you loved them! Can raspberries be used instead go blueberries? I have not tried this recipe with raspberries, but I think it would work. I would use fresh raspberries and fold them in gently. If you try it, let me know how it turns out! Hmmm, followed this to the letter, but after 20 minutes at 325, they still look like they need to bake? Just made these scones and they are awesome. Thank you for the recipe!!! You’re welcome Samantha! And thank you for the comment! These are excellent…I’m going to try this recipe using orange and cranberry instead of lemon and blueberry also…the texture and flavor is great. This recipe sounds great! But I cannot have almonds. Would you be able to suggest a good alternative flour? Thanks! These are amazing. They are the best consistency for Paleo baked goods that I’ve found yet. I have been looking for a “biscuit-y” scone and nothing was working. I used Honeyville almond flour and duck eggs. Fantastic! Thank you! Thanks for sharing, I have some duck eggs, making for first time tonight. Great to know! I made these this week for a friend’s birthday at work. I think the best compliment is when someone asks you for the recipe, so I will say they were a hit! I used Trader Joe’s almond meal, as opposed to flour, which is what I always do. Also, I only had 1/2 cup of fresh blueberries, so used about 1/4 small, wild blueberries that were frozen. I noticed no issue with the frozen berries adding extra liquid. I also liked these because they weren’t super sweet, so don’t trigger me wanting to keep eating them. Thanks for the recipe. I just made these and they were delicious! I only had 200g of almond flour on hand, so I cut everything down a bit (3/4 teaspoon baking soda, 1 whole egg + 1 egg white, etc). I also made them very small – I prefer tiny baked goods! They were perfect. Thank you!!! Thanks for the recipe. I used 2 chia eggs since we have an egg allergy here and they turned out great! I tried these tonight and they are so simple and totally delicious! Thanks for the recipe! Was trying to figure out what to make with my fresh blueberries, after all the great reviews making tonight. 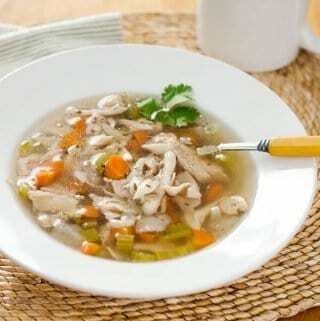 Thanks for posting recipe. Great nutrition value too. There an estimated 222 calories in 1 serving of Paleo Lemon Blueberry Scones. Calorie break-down: 66% fat, 20% carbs, 14% protein. This was based on making 10 of them. when you say you freeze the ‘batch’, are you freezing the cooked scones or are you freezing the uncooked scones? Perrin, I freeze them after they’re baked and cooled. Hope you enjoy them! These were amazing. They didn’t last too long at our house! Can I substitute lemon with orange? Im not a fan of blueberry but love love the cinnamon sugar scones. Would recipe be different if no fruit was added and cinnamon and cocunut sugar was added? Just WOW! Was craving gluten free scones to eat with my coffee in the morning…have tried many online recipes and boxed mixes, all a major fail. SO I halved the recipe as I figured this too would be a dud recipe. To my surprise it was perfect!!! I had everything in the house except fresh blueberries so used dry, worked great! A pop of flavor in every bite. Good bye Whole Foods, see ya other GF recipes! Thank you for finally getting it right! No sugar no wheat! Make my day!! Did you reconstitute your dried blueberries or just added in dried blueberries in place of fresh, cup for cup? I have dried blueberries I need to use! Do you have the nutritional information for these? I made them and they are delicious! I tried them with raspberries and honey drizzled on top (before I baked them) and they were a bit soggy on top but still really yummy. These are so, so good!! I was a little leery of the almond flour not being combined with another variety as it can sometimes yield dry and crumbly results, but not in this recipe. I love the lemon blueberry combo but this recipe is so good I plan to use it as a base for other flavour experiments! Also, although it says not to use frozen berries, I did and they didn’t turn the scones too moist at all. I love all of these ingredients, and in a scone, yep even better, especially a paleo-adapted one, thank you for this recipe, very helpful! I’m not very experienced baking. When I mixed this up, it was really dry. Should I add water, or almond milk? What is the consistency I am looking for? Thanks in advance for any insight. I have been in search of an easy, paleo, scone recipe that tastes great…found it! This recipe is sooo easy and yet the taste makes people think that it took hours to pull together. On my second batch I added just a little lemon drizzle (lemon juice and powdered sugar whisked together) and it made for a decadent treat. The recipe definitely stands on it own but the drizzle is nice as a treat every now and then. I baked these this week for family breakfasts. They are so good! Moist and flavorful. Will be using this recipe again and again! Thank you! I feel like I’m the only one missing something. Are eggs the only wet ingredients? Because I put in two eggs and the flour just soaks it up. It just becomes grainy and crumbly and not remotely a batter that can be poured. What is everyone else doing that I’m not? I used lovely organic blueberries and the scones turned out lovely! Thanks for the recipe! Great recipe -5 stars! Have made these 3 times and will be doing so many times over. They’re amazing, this household’s newfound beeakfast favorite. Thanks! This recipe is GREAT. The scones were done perfectly at 19 minutes with a nice golden top. The scones were moist but not overly so with a texture much like a traditional scone. This will be a go to recipe in the future. Just made these- took no more than 15 minutes to get them in the oven. Recipe is super simple and easy to follow (I had no issues with it being too dry. They’re scones; they’re a little supposed to be dry!). They are currently cooling and they smell great! I highly recommend making them. I made these last night and after collef put them in an airtight container. When I woke up this morning they were super moist, cake-like, not scone-like…normal? Should I store them differently? Thanks in advance. OMG! These are so good! 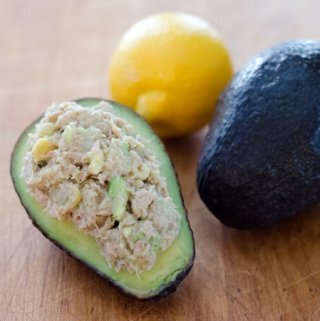 I am not a cook/baker and I am not someone who is normally looking for paleo food, but these are so delicious and it was such a quick and easy recipe. Thank you…this gives me confidence to try more recipes. I just made these scones and they were delicious, I will make them again for sure! They had great flavour and a nice light texture…I wanted to wait till I made them before I commented, I find that more useful when looking at new recipes :-).., I did have to add a little baking time, but that is not surprising, every oven is different!